ANN ARBOR—An interdisciplinary team of geneticists and linguists has found that the language of the creole-speaking population of Cape Verde, off the northwest coast of Africa, has been passed down over generations in a way that largely mimics how genes are transmitted from parents to offspring. The researchers—all with University of Michigan ties—have contributed to a first-of its-kind study that explored the connections between genetic characteristics and linguistic traits. They collected DNA samples within the creole-speaking population of Santiago, the main island in Cape Verde. They also recorded speech data from the same people to study their idiolects—the individual’s specific, unique way of speaking a language. The language spoken in Cape Verde is Kriolu, a mixture of European and African languages that came into contact during the Portuguese transatlantic slave trade. Linguists have long known that creole still shows imprints of the African languages spoken by the slaves that populated the island of Santiago beginning in 1461. At the same time, geneticists have long known that relationships between populations and their languages have much in common. The study, the first to look at both genes and idiolects within the same set of individuals, reveals that genes and African-derived linguistic features have been transmitted in a similar way within families over generations, so that individual Cape Verdeans retain traces of their genetic ancestry in their idiolects. 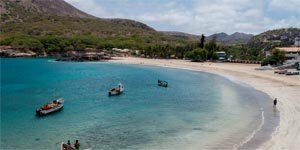 By collecting DNA from native speakers of Kriolu born on Santiago and comparing their patterns of genetic variation with other African, European and American populations, the researchers showed that the genetic mix in Cape Verde reflects the known history of islands populated by Senegambian slaves from West Africa and Portuguese settlers between the 15th and 19th centuries. The researchers recorded Kriolu speech data from the same subjects who contributed genetic data and identified words whose origins were either Portuguese or African, or a convergence of both. They tabulated the frequencies of words in the speech patterns and compared the total frequency of words of African origin with the proportion of African genetic ancestry of each individual. They found a significant correlation between the fraction of African genetic ancestry and the fraction of African-derived words used by an individual. Marlyse Baptista from LSA Linguistics is co-author of the study. In addition, the study indicated that the parents’ birthplace was a strong predictor of an individual’s word frequency patterns, regardless of the birthplace of the individual. “This result indicates that contact with other members of the community and with sources such as radio and television is insufficient to eradicate the speech patterns transmitted from parents to offspring in Cape Verde,” said Paul Verdu, one of the study’s lead authors. 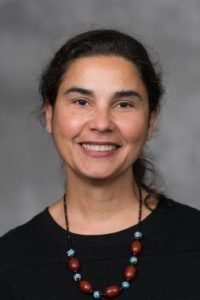 Co-author Marlyse Baptista, a U-M professor of linguistics, said the observed genetic-linguistic correlations might also be explained by sociocultural factors and how individuals construct their own identity and way of speaking to reflect their perceived genetic origin. The findings appear in the latest issue of Current Biology. Baptista collaborated with four geneticist colleagues, all with U-M ties: Verdu and Trevor Pemberton, both former U-M postdocs, are now at the Centre National de Recherche Scientifique in Paris and the University of Manitoba, respectively; Noah Rosenberg, previously a professor in human genetics and bioinformatics at U-M is now a professor of biology at Stanford University; and Ethan Jewett, a former U-M graduate student, is now at 23andMe.